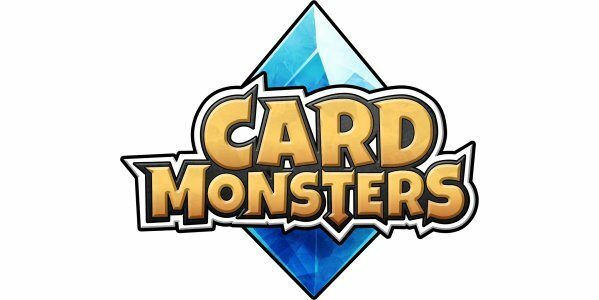 If you enjoy Clash Royale and or Hearthstone, then you will want to play something similar yet very different…Card Monsters. I stumbled upon this game about a month or so ago and I am hooked. It is a PVP, 3 minute deck building game where you pit 3 monsters of yours against 3 monsters of your opponent. You can cast spells and equip items to help strengthen your horde. The game is very easy to learn and a lot of fun. 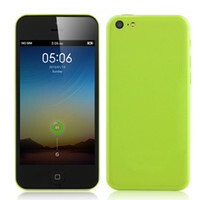 When you first begin you will go through a short tutorial to give you the basics. You have 3 slots where you can put your monsters but only 1 slot can do melee damage while the other two can do ranged damage. So you need to know the abilities of your monsters and place them in the proper location. Your deck allows you to have 8 monsters. In addition to the monsters, you can have 8 items such as heals, bombs, armor, magic damage, etc. As you play you earn pack of cards, which allow you to build up your deck. You can only have 2 copies of any card. 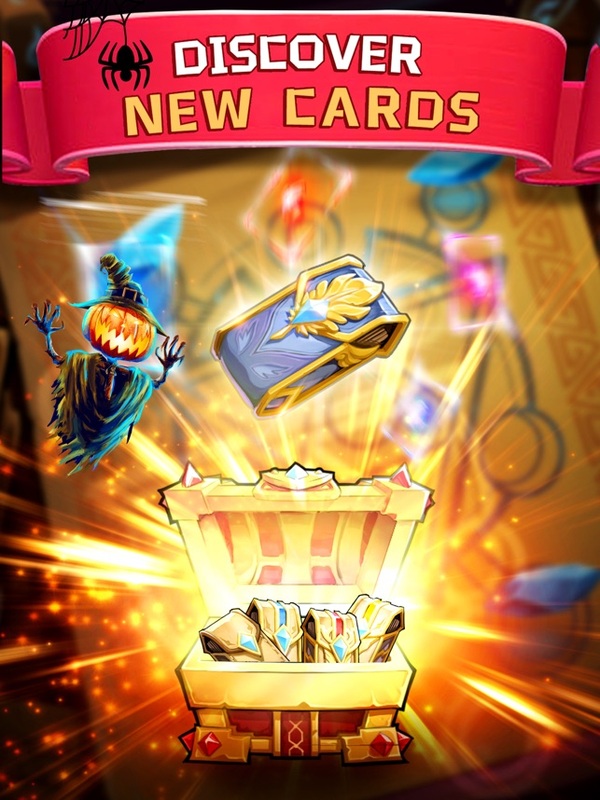 When you get more copies, the game will disenchant them to dust, which then can be used to upgrade the current ones you have. 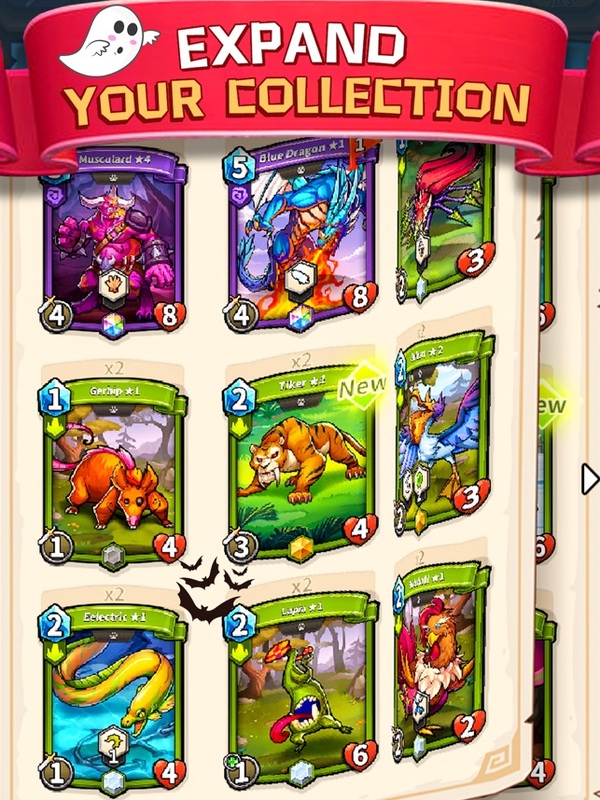 The monsters and items are divided into different colors, which represents the different factions and then subdivided more into the rarity of the card (common to legendary). The game is getting a big update today (August 22); a new game feature called Battle Royale (tournament) and 13 new monster cards and 1 new item card. There are a few different game modes: casual, ranked/ladder play, events. 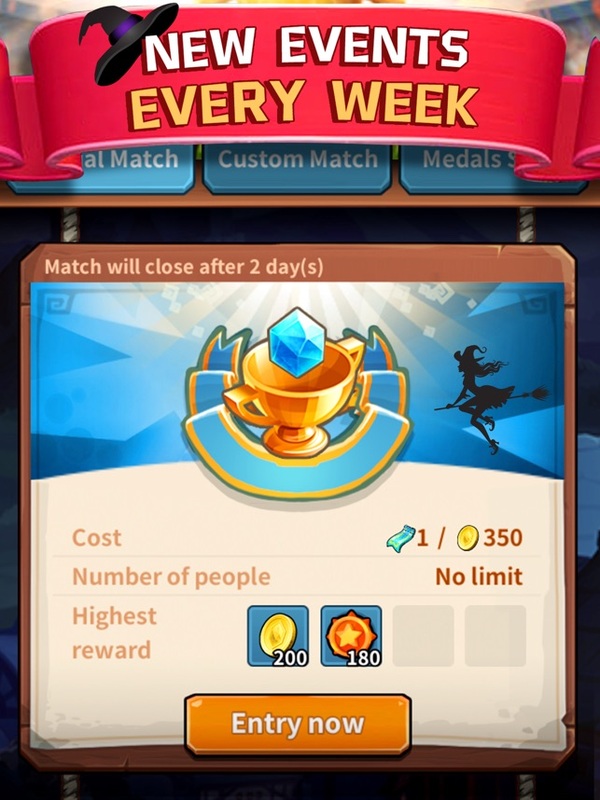 The ranking reset at the beginning of each month and you will get rewards based on the level you finish at. 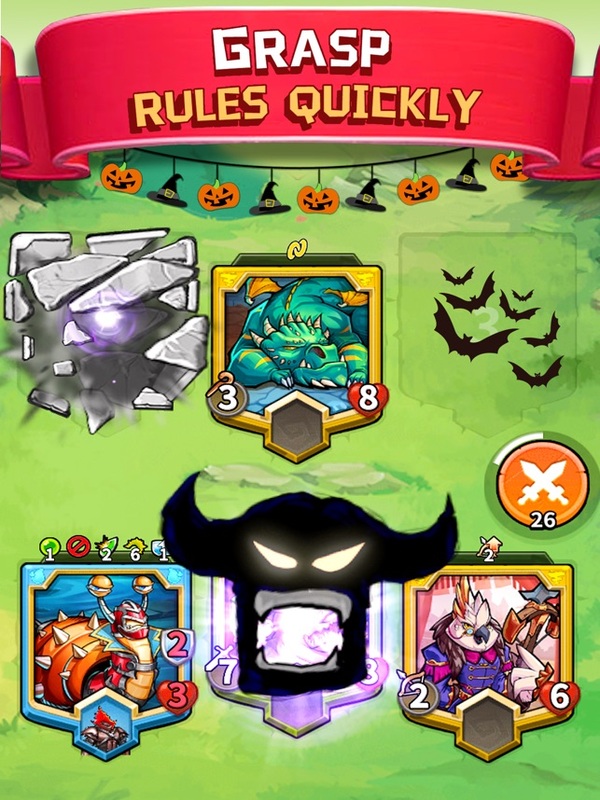 There are some of similarities to Hearthstone: deck building, ranked play, but the addition of items, card upgrades, and games lasting only 3 minutes makes Card Monsters its own game. I enjoy Hearthstone but really appreciate the differences this game brings to the table. I have learned quite a bit about the game by playing every day, but if you do decided to start playing, check out their Discord channel. The folks there are very helpful. The game is free to play and free of ads. You can watch videos for a small amount of gold if you like. Finalyy, the graphics, gameplay, mechanics, reward system all seem very well done and balanced. I am very impressed with the game and look forward in seeing where it goes. 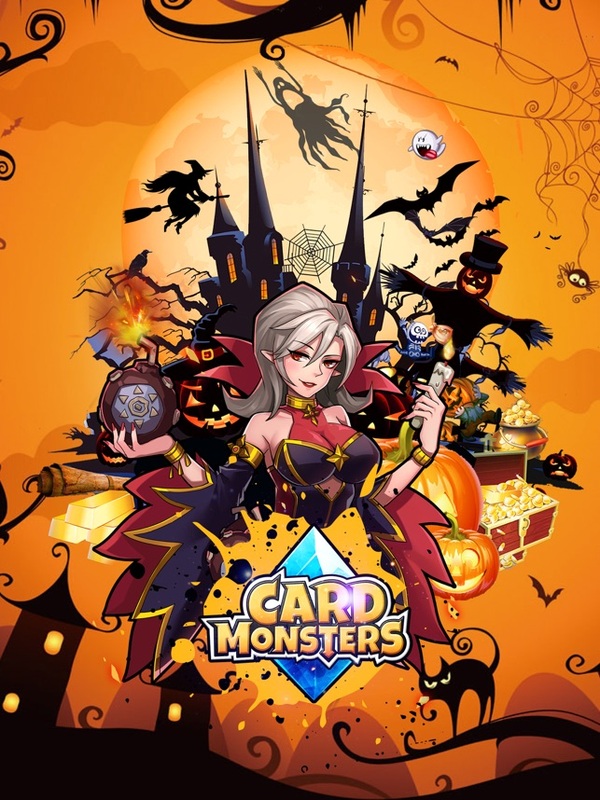 So if you are looking for a great deck builder on your Android or iOS device, download Card Monsters today. 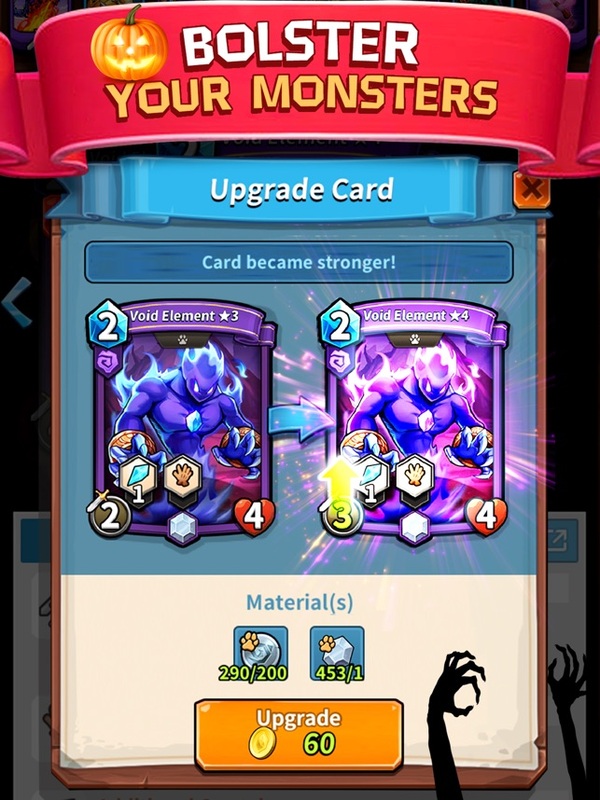 Card Monsters is a new and growing great deck builder; send your 3 monsters against your opponent and see who comes out victorious within 3 minutes.